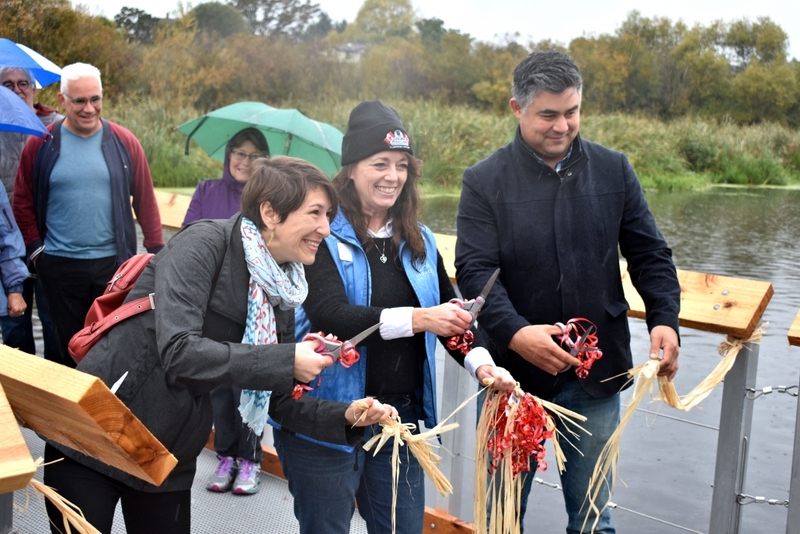 The Saanich community rallied this morning at the grand opening of the Swan Lake new floating boardwalk and we were thrilled to share in the excitement. 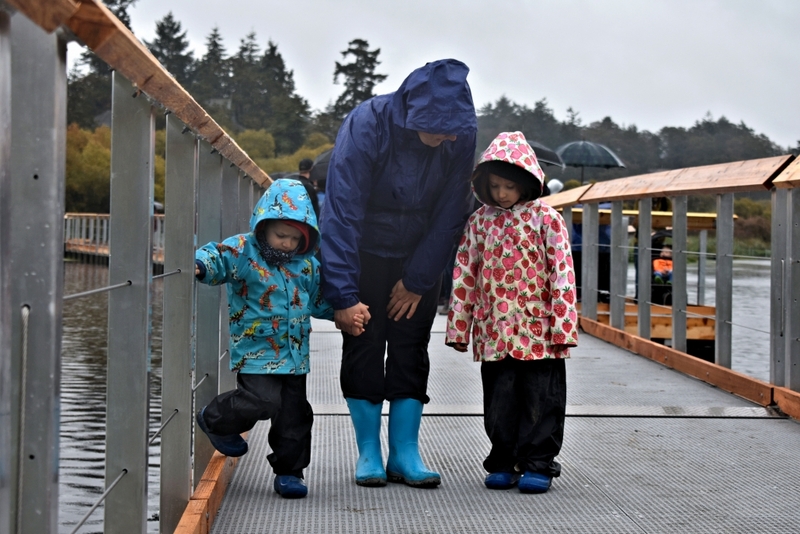 Residents, volunteers, chair members and companies involved in the project were delighted to walk on the new docks, after the facility was closed to the public all summer due to its replacement. 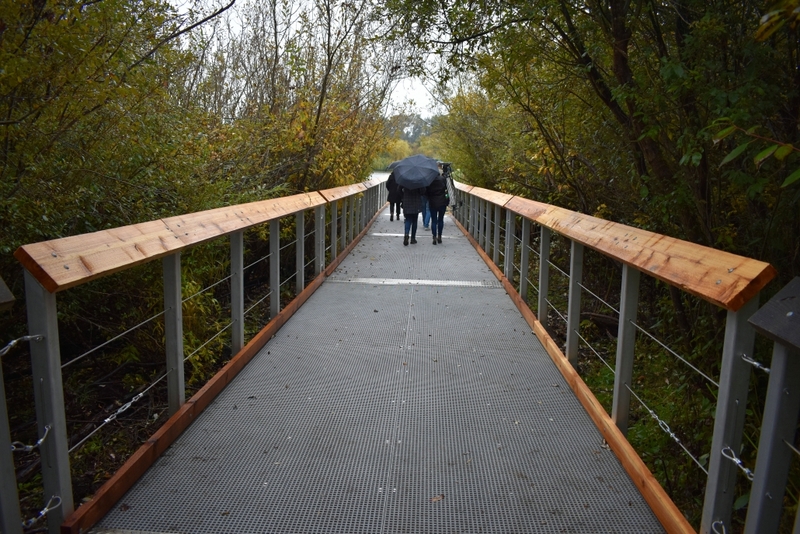 Since it opened in 1991, the Swan Lake floating boardwalk has seen tens of thousands of visitors each year and the time had come to replace it with a sturdy new one, made out of aluminium and fiberglass. 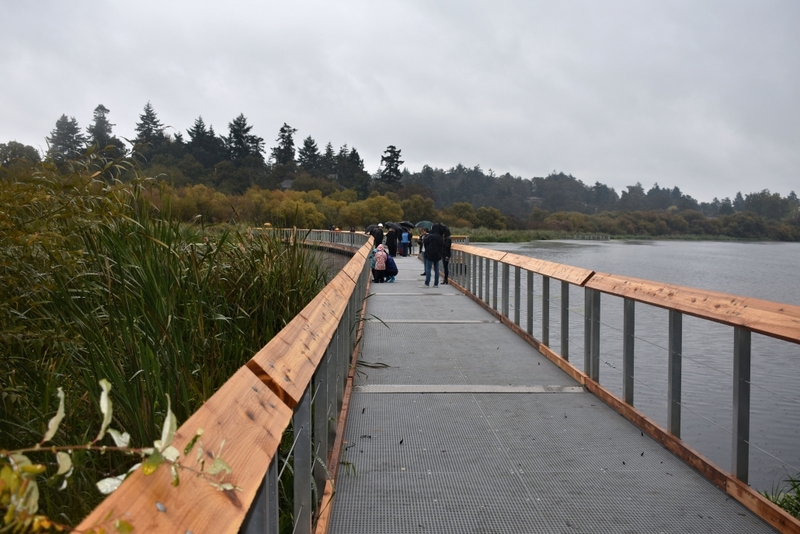 Our crews have put their skills together to build 35 new docks, following the Phase I of the project that was completed in 2015, and we are more than happy and quite proud of the final look! We would also like to give a big shout out to our friends at Knappett Projects Inc. who took care of the installation. Phase II of the project followed Phase I, which we completed in 2015. The 2nd phase of the project consisted of 35 docks that reached a total length of 660 feet. The mini mesh fiberglass decking allows light to pass through so aquatic plants can still grow. Also, the height of the new floatation and the space between them allows the wildlife to swim through. 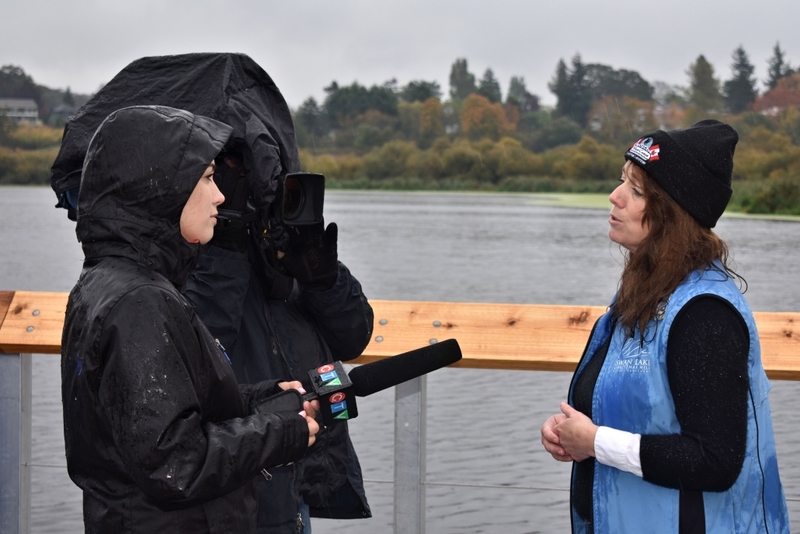 Kathleen Burton, Executive Director of the Swan Lake Nature Sanctuary, talking about the life span of the new boardwalk, which is estimated to be 65 to 75 years.